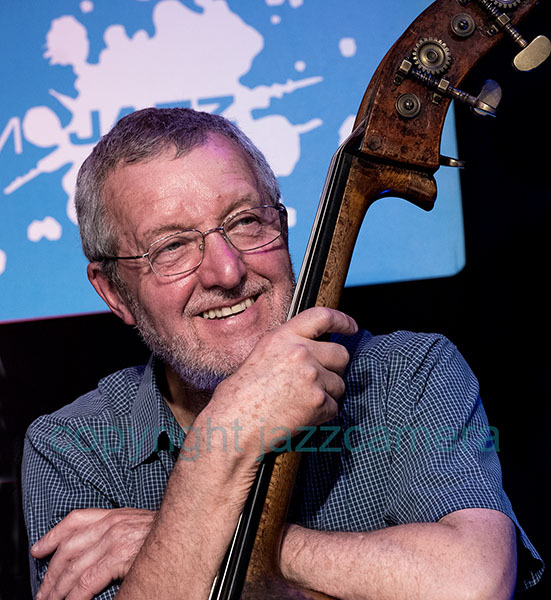 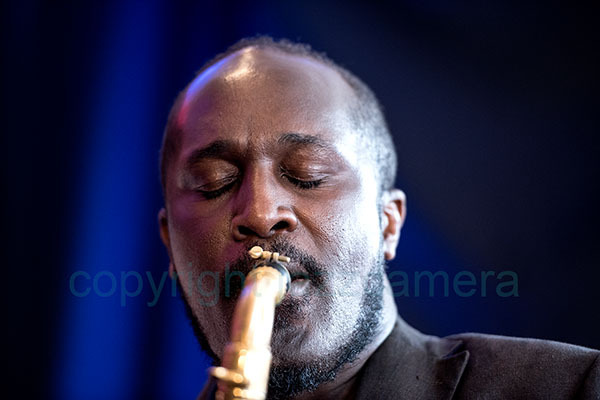 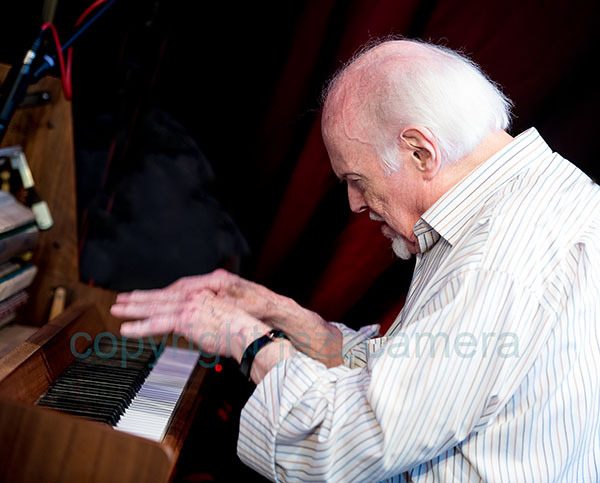 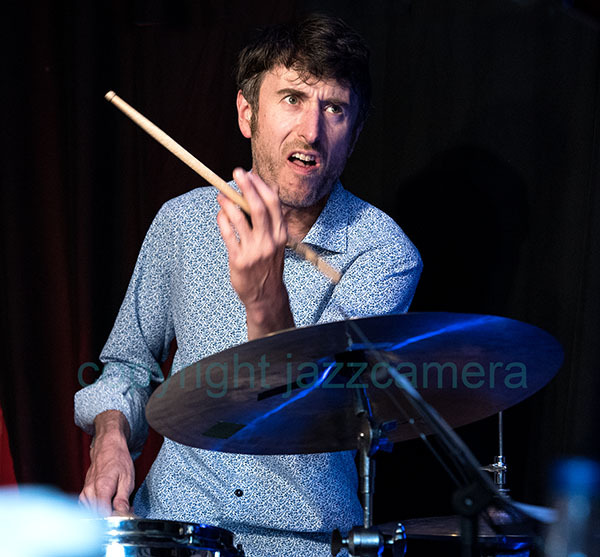 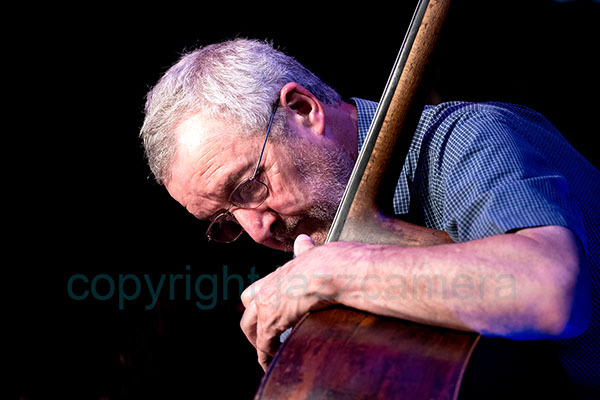 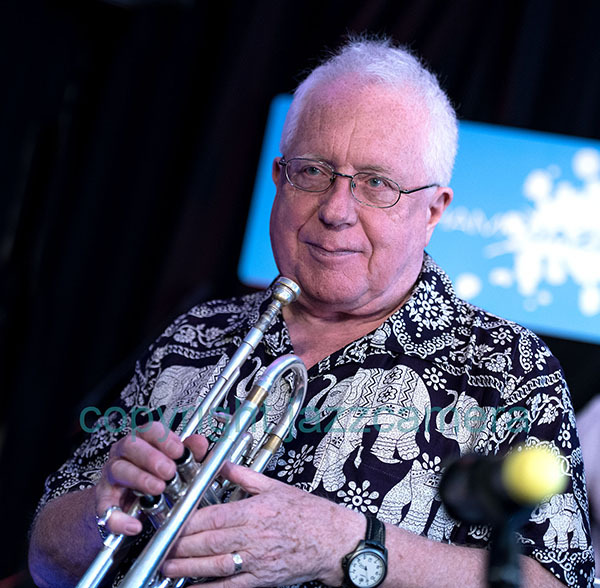 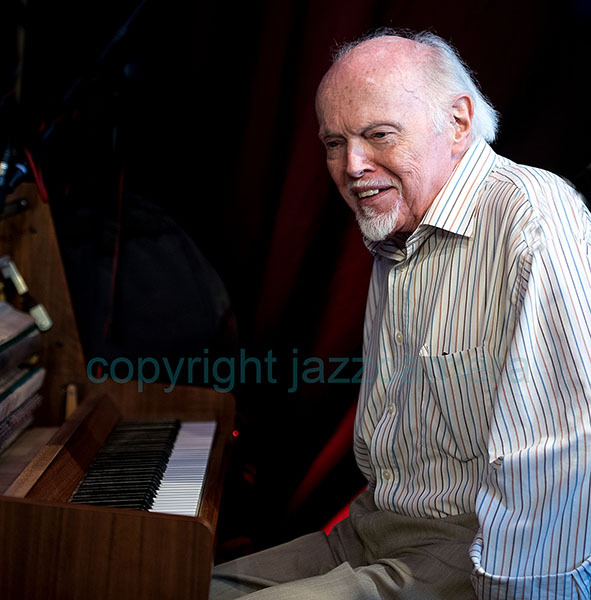 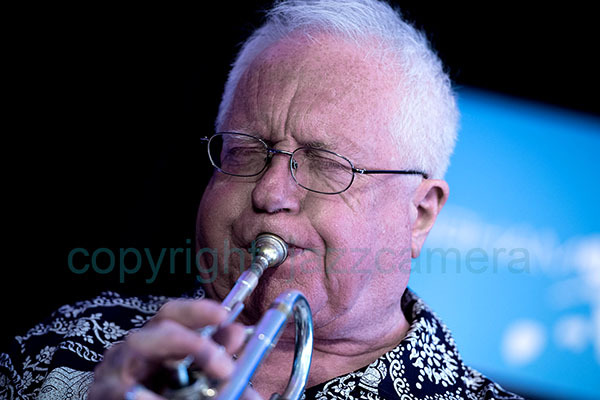 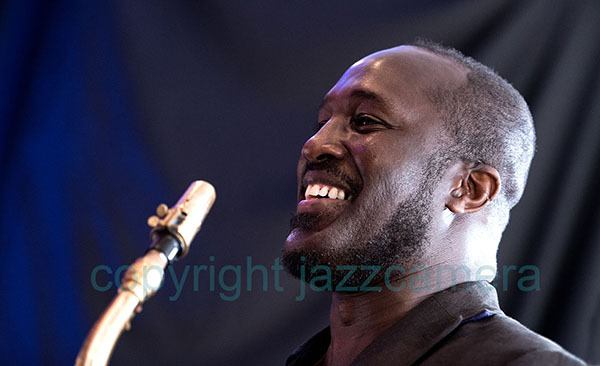 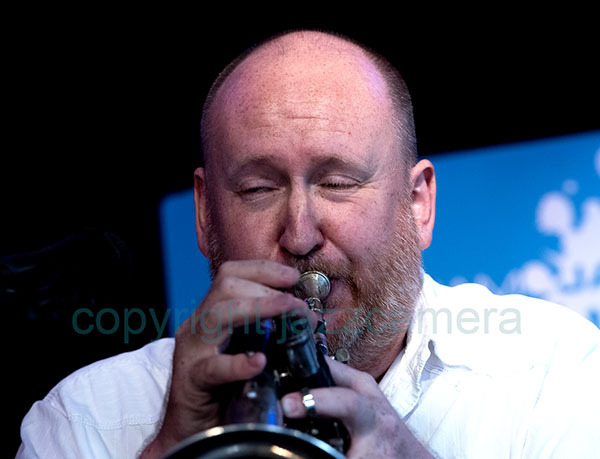 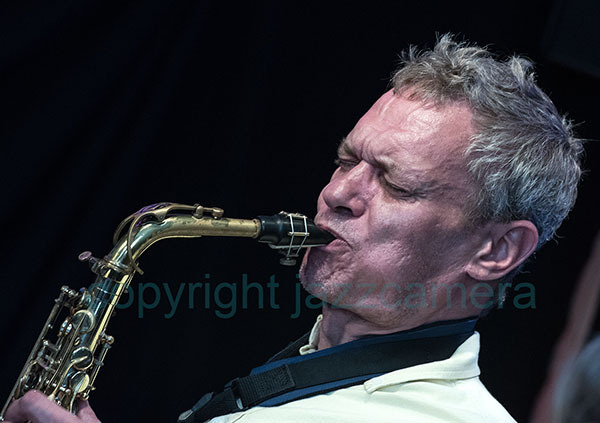 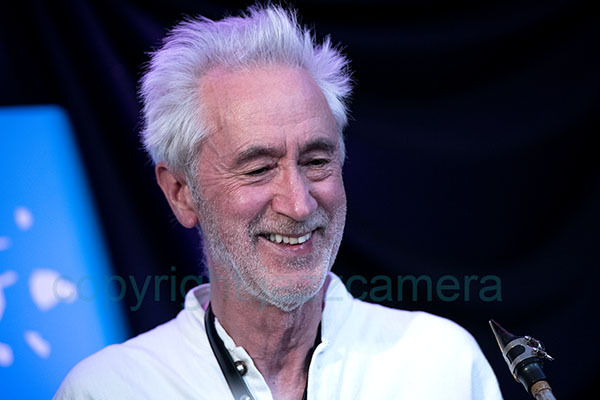 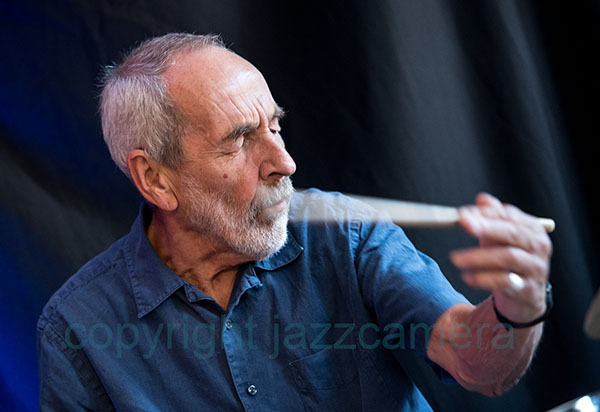 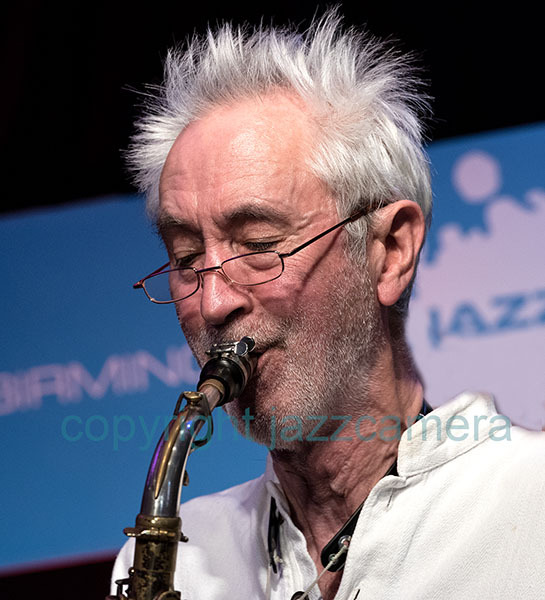 Above and below, Henry Lowther, who curated the festival and played with his group Still Waters, gave a talk on Miles Davis, and apeared as a guest with other bands throughout the festival. 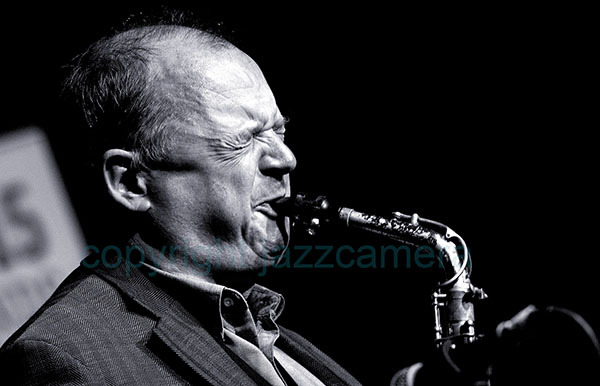 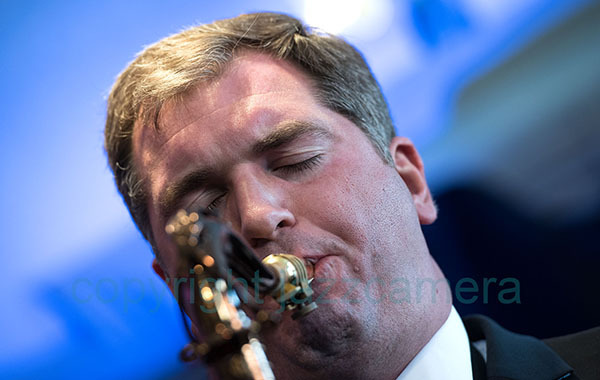 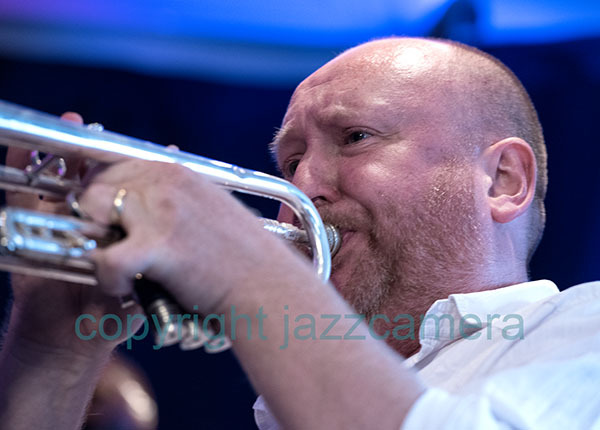 Simon Spillett, who led an all-star group performing repertoire associated with Miles Davis. 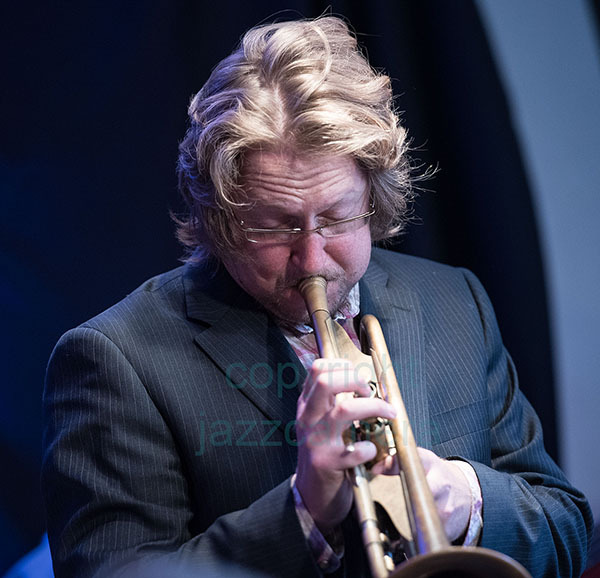 Bryan Corbett soloing with his group Corbett and Co.
Chris Bowden with Bryan Corbett and Co.
Luke Flowers with Corbett and Co.